Back to school season has finally started ! After two long months of summer; parents, children and the rest of the school staff are getting ready for school excitement. We know how difficult it is for everyone to go back to the same routines, parents walking their children and getting them ready for the day, making sure they have all their supplies, and most importantly a nutritious lunch. Getting back to school is also a very difficult task for children, not only does it involve a lot of changes in their sleeping schedules but also their daily summer routines. 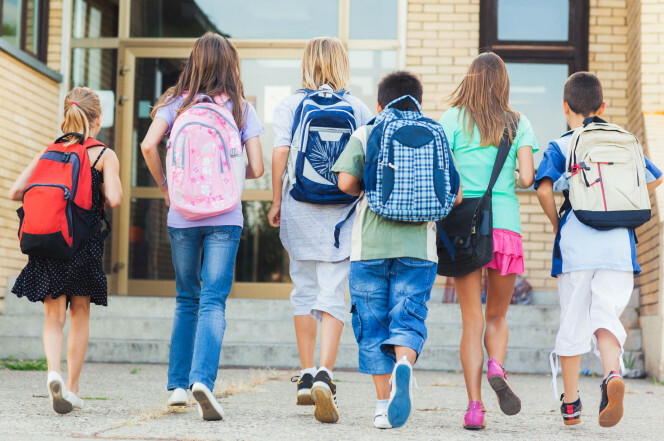 Here are some tips to help you ease back into the back to school hassle. Getting enough sleep is very important to your kids. Lack of sleep has been associated with over sensitivity, behavioral difficulties, difficulty concentrating and hyperactivity. To avoid these issues, setting an eight hour minimum sleep schedule will ease the child’s transition into a new school year. Focus on the positive aspects of getting back to school. Negativity can lead to more anxiety. Talk with your child about what is concerning to them. Answer their questions and share with them the routines that will take place before and after school. This information will help your children understand better the transition and will decrease anxiety. Parents, avoid the stress from back to school as well. Plan ahead and take good care of yourself. Once your child sees that you have everything under control, they will feel more at ease. Get your child back on regular eating and sleeping schedule. We understand getting back to school may be tough for you and your child, but there is a solution for everything. These tips may help you feel better for the weeks of school and will help your child prepare for a bright future.